TAX RESOLUTION ATTORNEYS • SERVING MICHIGAN & BEYOND! IRS Tax Liens Support and Resolution Services for Individuals in Michigan and Beyond! Our Tax Relief Lawyers are experienced in all matters including tax resolution, tax dispute, and general issues relating to IRS tax and debt relief. 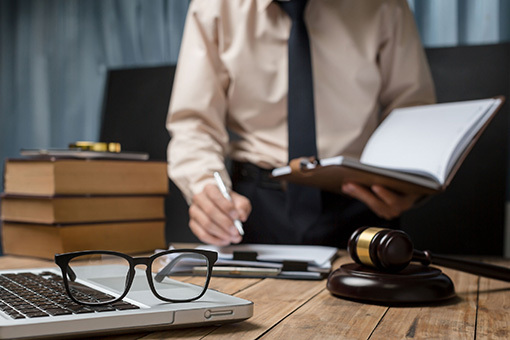 The attorneys at our law firm, are well versed in the local, state, and federal tax code, and can help you today! We offer legal advice for clients throughout Michigan, Oakland County, Wayne County and Beyond. If you have an IRS tax concern do not hesitate to call us today. Let’s get started rebuilding your financial future. Do Not Delay Resolving Your IRS Tax Lien Problem! An IRS tax lien involves individual and business taxpayers. A lien allows possession of property until a debt is resolved. While collecting taxpayer debt, the IRS may impose a federal tax lien. A lien is the government’s legal claim against a taxpayer’s personal and business property. It is started after the IRS conducts an assessment on the taxpayer’s debt balance and sends a bill which explains how much is owed. This bill is called a Notice and Demand for Payment. Taxpayer refusal of debt owed causes the IRS to start a lien against the assets and property. The IRS will file a public notice called Notice of Federal Tax Lien to notify creditors that the federal government has a legal right to a taxpayer’s property. Looking for an Experienced Michigan IRS Tax Lien Attorney? We can help! To avoid a lien, repay tax debt by the due date. Don’t ignore IRS correspondence. If a taxpayer cannot repay in full by the deadline, apply online for an IRS installment payment agreement. An IRS lien may claim any and all assets, securities, personal and real estate property, and vehicles. A lien will pertain to current and future assets secured for the duration of the lien. It will affect a taxpayer’s credit rating and the ability to secure credit. The lien attaches to business property including accounts receivable. Filing for bankruptcy will not delay an IRS lien. Notice of Federal Tax lien continues after filing for bankruptcy protection. An IRS levy actually takes the property to resolve tax debt. The IRS can levy, seize, and sell any type of real or personal property. Paying tax debt in full is the best method of disposing of an IRS tax lien. The IRS will release a tax lien within 30 days of receiving full payment. A discharge of property removes the tax lien from specific property. Internal Revenue Code (IRC) options exist to determine taxpayer eligibility for the discharge process. Helpful resources about IRS tax liens may be found on the IRS website https://www.irs.gov . The Office of Appeals, under certain circumstances, may appeal the filing of a Notice of Federal Tax Lien. The Taxpayer Advocate Service provides taxpayer assistance and guidance. The Centralized Insolvency Operation unit answers bankruptcy questions and changes to tax debt. Avoid a lien and pay tax debt on time each year. Over the past 20 years, our tax dispute and resolution law firm, has helped numerous clients achieve peace of mind by successfully negotiating the best possible resolution to their IRS and other tax problems. Sometimes unavoidable circumstances place you in a position where you require the best IRS tax resolution firm. You can trust the Law Offices of Peter C. Rageas, for affordable, effective and aggressive tax relief. If you are experiencing serious tax debt, you should take immediate action to resolve your tax problem. IRS debts do require immediate action, most importantly, you should protect yourself against potential financial penalties. Whether your tax debt is old, recent, or personal, your liability can become worse over time. If you need help to resolve your tax debt obligation, Michigan IRS tax relief lawyer Peter C. Rageas, is ready to meet with you to begin negotiating a new start. Peter C. Rageas specializes in tax resolution by maximizing his clients rights afforded to them by law, and helping them end their IRS tax problem. With over 20 years experience, rest assured you are in good hands! Contact our law firm today and let’s get on the road to tax relief. Remember, the longer you delay in resolving your tax problem, the greater chance the IRS will take drastic action to collect. Please call the tax specialists at Peter C. Rageas, and let’s get started! When it comes to owing IRS debt, one thing is for certain, the more help you have from an experienced law firm, the better! Attorney Rageas, has been protecting hard-working individuals from IRS bank levies, garnishments, liens, and more. Start saving in back taxes, penalties, interest, and more today!